Featuring four popular mosses, the SuperMoss Moss Mix is great for decorative projects, terrariums, and crafts. Mix and match the different styles for elegant, natural results. 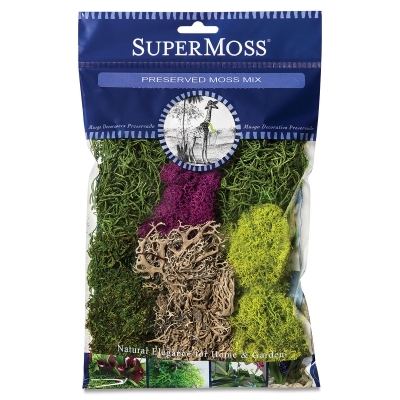 The 2 oz bag includes tufts of reindeer moss, Spanish moss, sheet moss, and Parmelia lichen.